The United States of America is a country full of immigrants. So many people around the world are interested in where their ancestors came from. No matter if we do or do not know where we came from, it fills us with compassion to read people’s histories. 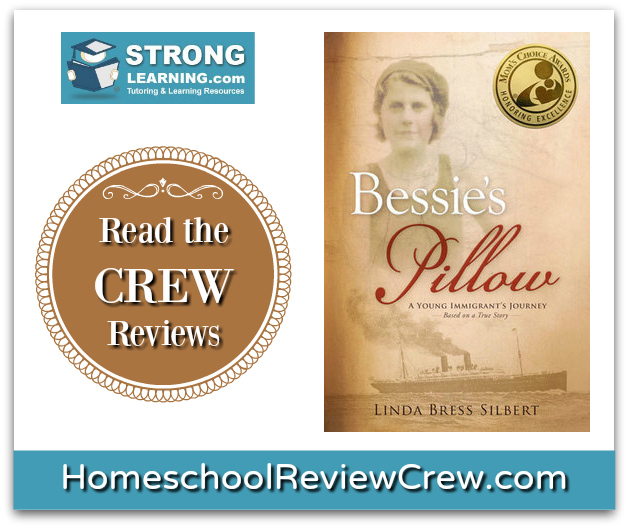 The Homeschool Review Crew have been enjoying Bessie’s Pillow, based on a true story, written by Linda B. Silbert, published by Strong Learning, Inc for their latest review. Reading the stories written by immigrants who sacrificed so much to improve their lives can help us have more compassion for others, and a better understanding of history. Sharing these stories with others unites us despite our differences in location and beliefs. 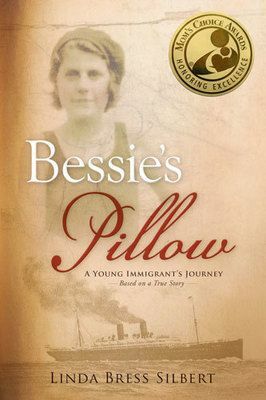 Bessie’s Pillow is the story of one immigrant who came by herself to America from Lithuania when she was only 18 years old. Her story, which is written from her point of view, tells about the dangers Jews faced in her home country when she left in 1906, as well as the trials she went through establishing her home in America. Bessie was determined to take control of and improve her life, as well as the lives of everyone around her. This book was written by Bessie’s granddaughter, Linda Bress Silbert, the narration taken from recorded interviews between Bessie and her daughter, Ann Bress. Linda and her husband own Strong Learning, Inc. The book and website have a unique addition, a section titled Bessie’s America. It explains more about events, places, foods, and other bits of information that are mentioned in the book, allowing readers to use the book as a starting point for studying a wide variety of subjects during the early 1900s. The book can also be used as a family read-aloud. Bessie’s Pillow is available in print in English or Spanish. There is also a Kindle version. Thank you to Deann from As We Bloom for writing this anchor post.